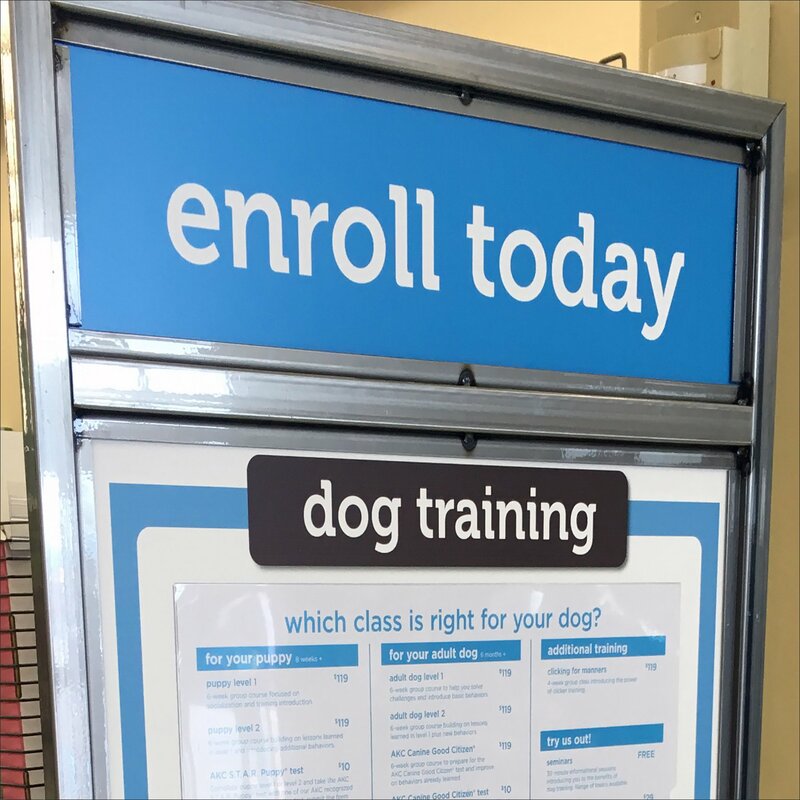 The Enroll Today Masthead works for any training or educational offering sign insert in this Dog Training Signup Station, Bring Your Own Pen execution. Today’s focus is Dog Training with copious details listed. The Station includes a Brochure Holder, Application Holder, and flat surface to complete. But the pen for completion seems to have grown legs and walked off. Next time you might try a Pen with a security tether. Browse the Dog Training Signup Station, Bring Your Own Pen outfitting via gallery of images.